The LCO Group prides itself on customer satisfaction and guaranteed results. The LCO Group offers a wide range of IT Outsourcing solutions, network and desktop support programs, proactive maintenance packages, and fully managed services. We recognize the importance of keeping your technology support costs under control – *without sacrificing the quality of service*. This is a hard balance to maintain – but it’s a balance which we have achieved for the past 20 years. Talk to the LCO Group about it’s New York City network and IT consulting services that let you proactively keep your computer systems running at their maximum performance. Stay focused on your core business – and not on your network systems and IT. The LCO Group has been providing a wide range of outsourced IT services to New York area businesses for over 20 years. We hire, train, and retain some of the best and brightest consultants in the industry, and give them a dynamic, healthy, and challenging work environment that allows them to grow as professionals – and as people. We recognize the challenges facing small business owners, and we understand the drivers behind these businesses. 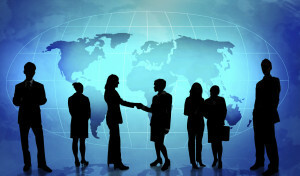 With experience in a wide range of industries, from financial services, to healthcare, real estate, manufacturing, legal, non-profit, and hotel and hospitality, we work hard to understand the unique needs of our clients, and to leverage our experience so that we can provide sound business solutions. Our 100% commitment is to client satisfaction – we stand behind everything we do, and guarantee our customers that we do it *right*. We won’t spend your time and money researching things we should already know – a practice all too common with consulting firms these days. Our approach ensures greater systems availability, reliability, profitability and peace of mind. Whether it’s desktop support, networking, programming, or IT security, The LCO Group is here to deliver personalized solutions to help our clients profit from technology. The LCO Group can show you how good IT outsourcing can really be. If you scored mostly A's, you're a true tech addict! Take steps to reduce your techno dependence immediately. If you scored mostly B's, you're on dangerous ground--try to dial back on your use of gadgets, tablets, etc. If you scored mostly C's, you're in pretty good shape, but you could still benefit from a few technology breaks. If you scored mostly D's, congratulations! You are using technology wisely, as a tool, not a way of life! If you scored mostly E's, you're probably a "high-touch, low-tech" person...just be sure you're keeping pace with technology.